Quirky Aquarius marches to the beat of its own drum! The Water-bearer is actually an Air sign whose dual nature creates a unique, intellectual, and social individual who cares deeply for community and mankind. While Aquarius prefers ideas over emotions, their stimulating personality earns them fast friends. The worldly Water-bearer is a progressive spirit who’s focused on the greater good. When this rebellious sign isn’t satisfied with the way things are, they’re experts at garnering the support they need to instigate change. Ruled more by the head than the heart, Aquarius’ brilliant ideas and visionary plans inspire us all to raise the bar in our everyday lives. 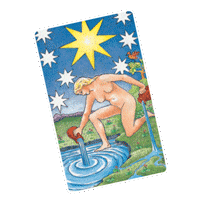 The Star replenishes our hope and optimism as the Tarot card of Aquarius. The Star card brings inspiring, healing, and idealistic energies that help us envision the perfect world we want to create. Aquarius’ focus on the future and drive to help others reach their heart’s desires are strongly supported by the uplifting Star card. Aquarius is embodied by the Water-bearer, a human form that forever replenishes the universe with a flow of water poured from a jug. Similarly, the glyph for Aquarius represents two ripples of water. The Water-bearer is responsible for cleansing and nourishing -- washing away the untruths and close-mindedness of the world, then filling the void with ideas of community and goodwill. Aquarius is on an eternal quest for awareness and lives to pour its learned truth and higher ideals unto us all. Aquarius is ruled by rebellious Uranus, the planet of awakening! Uranus is a planet of change and surprise, always looking to cause a reaction. Even as it spins in the cosmos, Uranus stands out by spinning on a horizontal axis, while all the other planets spin on a vertical axis! Aquarius acquires its sense of progress, creation, and wisdom from this inventive and powerful planet, whose ultimate goal is to wake us up to the truths of the world. As the 11th sign in the zodiac, Aquarius rules over the 11th House of Groups and Visions. The 11th house represents your relationship to humanity and the people, causes, and organizations that inspire and influence you. It is here that we find like-minded people who share our visions, and create lasting bonds. Therefore, the 11th house also represents the ideal visions we strive toward. Ever the forward thinker, Aquarius’ progressive thoughts and humanitarian actions connect with the inspiring energy of the 11th house. Even though Aquarius is the Water-bearer, it’s actually ruled by the Air element! 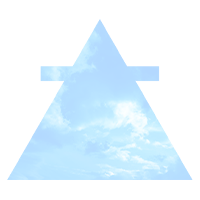 The element of Air represents intellect, and it whips up all sorts of ideas, theories, and brilliant thoughts within Aquarius. Think of Aquarius as a forceful hurricane wind -- their mind is never settled, and once they stir up your world, you’ll never be the same again! Sacre bleu! Just like the sky and the waters it is so closely connected to, Aquarius the Water-bearer’s color is blue. Blues represent vastness and encourages a smooth flow of ideas and conversation. Blue also brings a calming influence that helps balance Aquarius’ restless energy. And it’s no coincidence that Uranus, this sign’s ruling planet, is also blue! 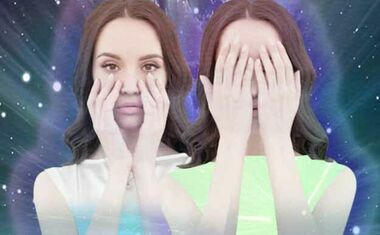 As the second sign of winter, Aquarius is a Fixed sign that helps us hunker down to get through some of the coldest and longest days of the year. Fixed signs are strong and consistent forces, and this energy helps Aquarius stay the path and push its highest visions forward, even in the face of opposition.